Google has announced the top 10 most viewed videos of the Lunar New Year in 2018 in Vietnam, many of which make a big hit with its creative message and new way of communicating. Tet is an opportunity for brands to build brand loyalty with consumers as well as increase sales. Understanding the psychology and desire to reunite and share joy with family members in the most special holiday of the year, many brands launched online advertising videos about Tet 2018 using this insight. At the same time, the rise of video specialized to watch on mobile devices helped to spread the message. According to Google’s statistics in March 2017, the time spending on watching Youtube video of Vietnamese ranked fourth in the world. Particularly, the number of content which people search for during Lunar New Year increased year by year, an average of 12-13% per year. Over 30 million Vietnamese view YouTube content on smartphones, often focus on 5 topic: music (music for spring), TV show, comedy clips , content for children and families, and games. 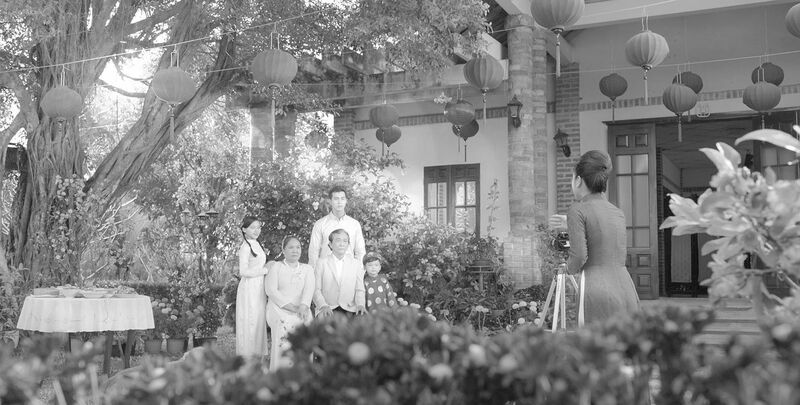 This year, the videos evoking the joy of family reunion as well as the preparation for Tet like OMO or Knorr captured the hearts of the audience instead of the topic of Tet away from home. Music or comedy is a form which clients trust to convey brand’s message and gain “love” from customers. On the top of the list is Biti’s “Di De Tro Ve 2” (Travel far to comeback 2) MV, which is also the second time Biti’s has been topping the Youtube chart. The MV content reminds young people about many journeys full of experience, but only the journey of coming back home brings the most special feelings. 3. Knorr – V? Nào Làm Nên T?t? 9. HàI T?T TR?N THàNH 2018 M?I – Lì Xì TI?NG C??I!!! – Creative content fearturing famous KOLs. My Tam, Bich Phuong, Soobin Hoang Son etc. are chosen by brands based on their images, which are suitable for the concept as well as the product. – Long-term advertising: Audiences are willing to spend time on watching long ads as long as they deliver worthwhile experiences. Especially on this list, the duration of each ads is longer than 30 seconds – The format of ads that match the content for YouTube users. – Entertainment: Viewers search for hilarious ads with a well-told story because their ultimate purpose on YouTube is to entertain. – The power of music: 4 of the 10 most “hottest” YouTube videos during Tet are combined with cheerful tunes. In addition to the insights, the message could touches the viewer with music in a positive way since music is the bridge to the heart of consumers. – New Year’s Eve traditions: cooking Banh Chung, decorating the house or preparing meals are activities to create Tet atmosphere for promotional videos. The festive atmosphere and the gathering moments with family members are always visible in Tet advertising. Copyright © MullenLowe Mishra 2019.